Sorry for the delay, but for some odd reason I struggled with my internet connection this week. Let’s start this week by checking out features from last week’s party! Oh my…features can be hard to pick as you all are so creative! Thank you so much for the party Stacey! 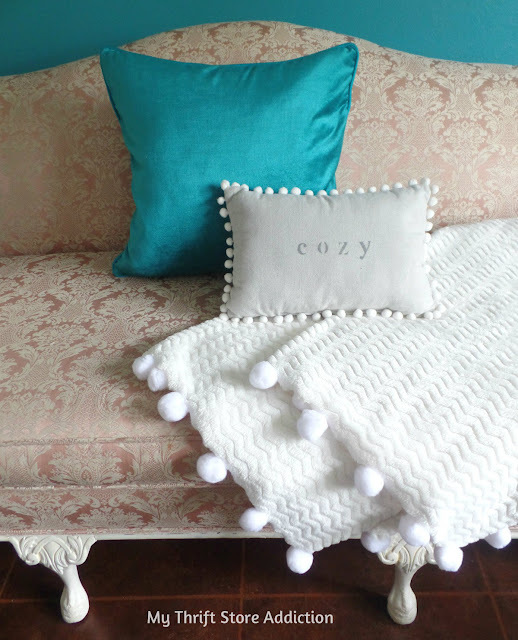 Thank you for featuring my pom-pom throw! Thank you so much for featuring my recipe for corn chowder. And thank you for hosting each week!